Valentine’s Day Gifts Guide Segment For Him! Ideas for romance and love this Valentine’s! Mac & Wild’s cocktails. Mac & Wild Scottish Cocktails are hand crafted small batch cocktails using Scotland’s finest whiskies and spirits, married together with complimentary flavours from the depths of the Highlands. 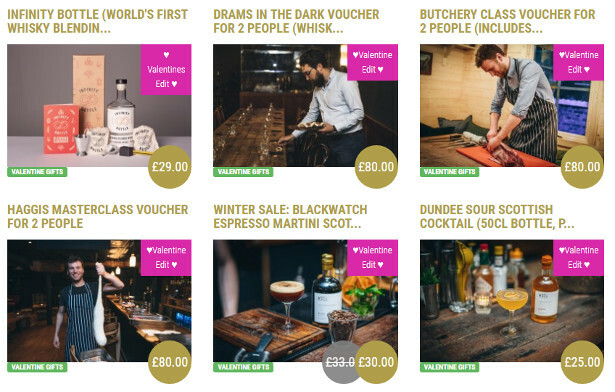 For something a little different, try gifting one of our beautiful ready to drink Scottish cocktails using the finest spirits & botanicals Scotland has to offer. The Bonnie Spritz uses Haig Club Clubman Whisky, rowan berries, lime, Rhubarb and Rosato Vermouth, offering tasting notes including sweet vanilla and fruity nose. The Bonnie Spritz is best enjoyed in a chilled coupette with a dash of soda and fresh lime peel. Mac & Wild’s Bonnie Spritz Scottish cocktail bottles are the preset present to give the whisky lover in your life. The Bonnie Sptriz cocktail is inspired by Scotland’s wild and beautiful landscape, and will whisk(y) your taste buds away to the Highlands. 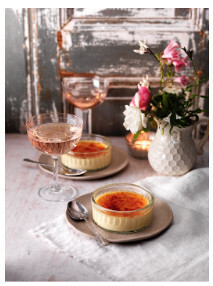 Delectable Bonne Maman Crème Brûlée is perfect for a special dinner with a loved one this Valentine’s Day. Deliciously creamy and beautifully presented in its handily recyclable glass dish, Bonne Maman’s Crème Brûlée will give the final course that classic French flourish. Simply pop under the grill – et voilà! – a perfect baked cream dessert with signature cracked sugar topping. The range of authentically made French chilled desserts from Bonne Maman includes Crème Brûlée, Baba au Rhum and Crème Caramel, all simply made from natural ingredients. Available from Waitrose, Sainsbury’s, Morrisons, Tesco, Asda and on Ocado. Bonne Maman’s Crème Brûlée and Baba au Rhum come in packs of two and Crème Caramel in a pack of four and all with a RRP of £2.50. For further information, tips and recipes see www.bonnemaman.co.uk or like on Facebook @BonneMamanUK. Bishop Auckland, UK – 12 September 2018: British TV manufacturer Cello has launched its first QLED TV with Smart TV features based on Android 7 and Cello Play, creating the highest quality Smart TV viewing experience available today. With the 55” model retailing from just £799, this first model in a new QLED range from Cello is a real price breakthrough. Manufactured in the North East of England, the Cello QLED TV is encased with stainless steel for a truly premium feel, ensuring build quality is not compromised in pursuit of Cello’s most immersive viewing experience yet. Cello’s QLED screen truly brings 4K HDR content to life, delivering a vivid look with greater colour depth and enhanced brightness, while minimising power consumption. The new Smart TV features available on the Cello QLED run on Android 7 Nougat, including capabilities such as 4K casting, multiple video app account access and live TV pause support from USB. The QLED enables instant access to the wide range of Android apps and functionality in the App Store, such as SkyGo, VirginGo and BT sports, showcasing how the power of smart apps augment the viewing experience. In addition, Cello’s own Smart TV platform, Cello Play, allows seamless access to the Internet Movie Database (IMDb), plus integration between TV channels and other video player apps, such as YouTube, iPlayer, ITV Hub, All 4, My5, and UKTVPlay. This intelligently provides programme information to viewers, allowing them to move up to seven days back and forwards through the EPG. “Our new QLED TV range rivals the quality of other high street brands, but at a fraction of the price, continuing our mission to provide superior, affordable viewing to the British public. The addition of Android 7 and Cello Play also provides seamless access to the very best functionality available to enhance the viewing experience. Our new smart TV offering is so good that we’re rolling it out across all Cello 4K and Full HD models to the benefit of a greater number of our customers,” commented Brian Palmer, CEO of Cello. Priced affordably from £799 the new Cello QLED TVs are available from a range of retailers including Amazon, Freemans, JDWilliams, Studio catalogue, TV Village, e buyer, Buyitdirect, Sonic and directly from the Cello Electronics website. Cello Electronics is the only British television manufacturer and boasts the largest range of LED TVs on the market with 14 screen sizes (from 16” to 85”) and 28 models. 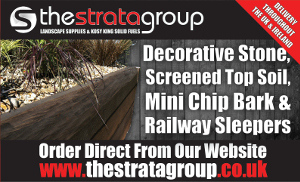 All products are finished and shipped from the company’s production line and factory in Bishop Auckland, County Durham. 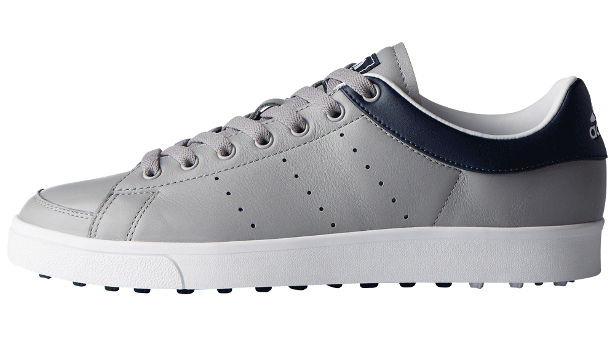 These classic-designed adidas golf shoes are the perfect all-weather footwear to keep you out on the course all year long. With climastorm water resistant leather, spikeless outsole and strategically-placed lugs, these shoes are green-friendly with optimal grip and all-terrain versatility. Not to mention they are super-comfy, with the lightweight cloudfoam sockliner and extra EVA cushion providing ultra-light cushion and comfort. The Bridgestone Tour B XS is the golf ball of choice for none other than sporting legend Tiger Woods. These balls help you gain an advantage on the course, with added speed and ball spin from the gradational compression core. Using dual dimple technology, golfers will enjoy shots with greater distance and aerodynamics. This is enhanced by the ball’s seamless cover technology, which creates a perfectly balanced dimple pattern. Getting the swing of it! The Callaway Rogue Irons are the best combination of distance, accuracy and playability ever in a Callaway iron. Combining 360 Face Cup technology with Variable Face Thickness technology, this set of clubs delivers fast ball spin and maximum control. Built for comfort too, the elastic-urethane microspheres behind the thin club face eliminate excessive vibration and poor sound and feel. For the tech-loving golf addicts out there, the Arccos 360 Golf Tracking System pairs up with your phone and provides players with real-time stats using GPS and shot tracking technology. The tour analytics system interprets your stats so you understand how they are affecting your play, allowing you to make instant amendments to improve performance. With sensors weighing less than 12g, the device has zero impact on swing. A gift for the person who has everything! The Stewart Golf X9 Follow Electric Trolley is a follow trolley with full remote control functionality, tracking the player around the course with all their equipment. Mounted on each of the rear motors are two antennas which work together to create two zones: a neutral zone and an active zone. When the golfer, with handset, is in the active zone, the trolley keeps a steady pace with the player until they come to a stop and enter the neutral zone, at which point the trolley will also stop. The drive of your life! The Titleist TS2 Driver has the thinnest titanium crown in golf, providing extra stability and forgiveness. Its thinner, faster face delivers more ball speed and distance, makes this a must-have driver to kit yourself out with in 2019. This golf sweater from adidas will keep you both warm and stylish on the course. With a fleece-lined shell and water-resistant fabric it’ll keep you safe from the elements, whilst the long sleeves with articulated elbows and telescoped fleece cuffs mean you’ll suffer no interference with your swing. 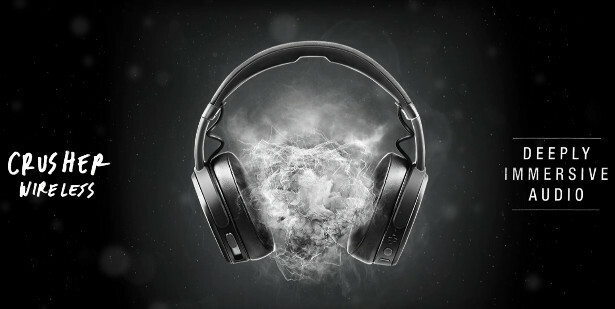 It even has an internal headphone pocket so your calming golf tunes are never far away. For the geeky gadget golfer! This Bushnell Excel GPS Watch is preloaded with more than 35,000 courses worldwide, providing players with shot distance calculator, distance to the hole and hazard locations. With auto course recognition, automatic course updates and even an integrated fitness stepcounter, this is the GPS watch you need to take your game to the next level. Get to grips with your game! The world’s number one-selling golf glove for a reason. Combining revolutionary performance and maximum durability with a consistent, soft feel, this glove will help you perfect your Rory McIlroy swing. This glove features new, re-engineered, breathable, dual PowerNet mesh inserts for improved fit and comfort. Perfect for a stocking-filler. The Bushnell Pro X2 Laser Range Finder uses laser technology to locate the pin from where you are stood on the hole. Accurate to ½ a yard and with a range of 450 yards, this gadget is legal for tournament play. Desktop organiser. Gifted with chocolates and flowers it’s a little piece of designer art that can elegantly and functionally linger way-after 14th Feb. They are adding chocolates with each Linea purchase 1st-14th Feb inclusive. Coral is Pantone’s 2019 colour so not only are you giving the gift of love but jumping on this year’s hottest colour trend. 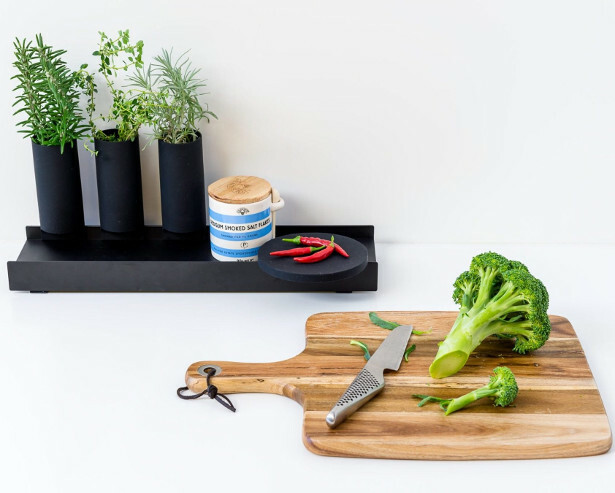 Linea by famed Australian designer Jim Hannon-Tan and Made by Pen is a multi-purpose tabletop organiser inspired by Oscar Niemeyers National Congress building and its sleek, modern lines. The simple design creates a flexible, functional answer to keeping your precious bits organised. 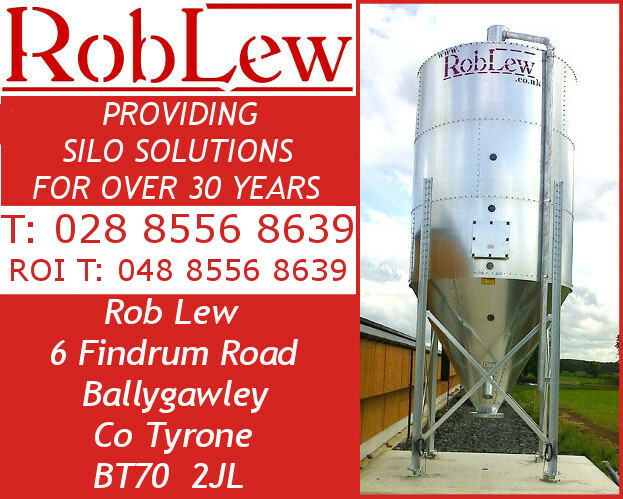 Made from durable, easy-to-clean silicone, the Linea can withstand the rigours of daily use. Available in silver / coral, silver / teal and silver / black. Take it quickly and suprise your love, with this, you can have an opportunity or idea of the gift that you should prepare before the 14th february, so we’re here to help and therefore we got to you that hoodies full of love. Show that special someone just how much they mean to you this Valentine’s month, the Lanzerac Hotel and Spa will be offering a Valentine’s package that will undoubtedly get you in their good books. The spoiling starts with a complementary glass of MCC, followed by a 30-minute TheraVine Grapeseed Full Body Exfoliation in the Spa, where a couple’s room can be made available on request. This treatment utilises crushed Pinotage grape seeds to help stimulate micro-circulation, gently polish the skin and remove impurities and dead skin cells, leaving the skin feeling soft, smooth, nourished and moisturised. On completion, lovebirds can relax with a 30-minute Musculavine™ Back Massage which combines an intensive massage and muscle reconditioning techniques to help relieve muscular tension. Couples can then enjoy a unique tasting of five wines from the Estate’s Premium Range, paired perfectly with a selection of artisanal chocolates, either in the comfort of the well-appointed Tasting Room or on the veranda overlooking lush vineyards. Each of the five wines are presented with a chocolate, carefully hand crafted, to complement and enhance various characteristics of the varietal, showcasing the complex flavour profiles of these wines. The Valentine’s celebrations can continue at home with a bottle of Lanzerac Pinotage Rosé 2018. Ideal for sipping on balmy February days, this dry, perfumed and fruity Rosé boasts gentle aromatic notes of rose petals, redcurrants and crushed strawberries. Valid from the 1st to the 28th of February, the package is available at a cost of R970 per person. 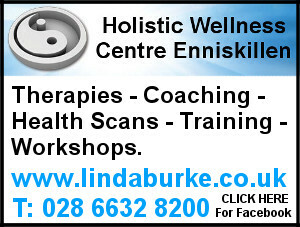 A couples treatment room is available upon request. Capestorm just launched new cycling jerseys for Him and for Her. They’re inspired by beautiful nature scenes like the sunrise and sunset, and they’re designed with technical features that will take cyclists to new heights so that they can enjoy all the views their rides have to offer. PAX Labs, Inc. a Silicon Valley-based innovative technology leader in creating premium vaporizers for dry herb and concentrates, continues to expand their presence in the UK. Their hero product, the PAX 3 (RRP £219.99 for the complete kit) is a premium loose-leaf vaporizer, designed to be compatible for use with dry herbs and concentrates. The PAX 3 gives its users the ultimate control over their vaping experience, with a simple single button hidden on the mouthpiece and a dedicated app, that allows temperature and vapour to be adjusted at their fingertips. The device is easy to use; it turns on and off with a single click, and the temperature can be changed by pressing down for two seconds, then single-click between four temperature settings. For those looking for accurate temperature control, the app provides to the degree setting. The PAX 3 also features an intuitive motion sensor, which automatically activates standby mode when the device is not being used, aiming to preserve the battery and rapidly cools to save product in the chamber. The product comes in four matte anodised aluminium finishes, including Black, Silver, Teal and Rose Gold for a sleek and sophisticated aesthetic. 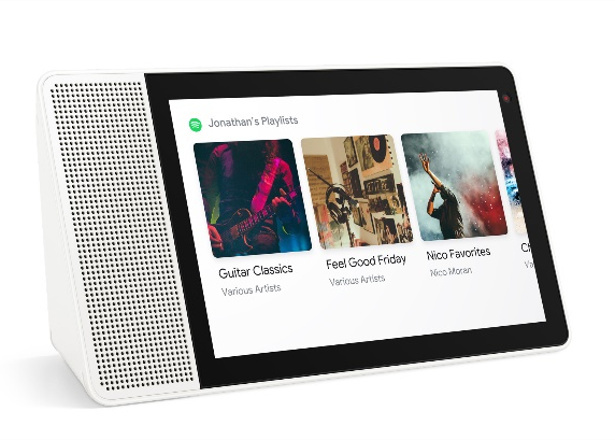 Combining the best of Google Assistant, a vibrant full HD touch screen and sleek, modern design, the Lenovo Smart Display is the ideal gift to help a loved one with hands-free living. Stay in touch with video calling through the high-quality, front-facing camera; and connect and control other smart home devices with a simple “hey Google”. The ideal date night companion, the Lenovo Smart Display can dim the lights and pick a playlist, as well as show recipes step-by-step; all without lifting a finger. It also features a TrueBlock shutter, so you can be sure of privacy, as well as dual array microphones and a full-range speaker. The perfect present for those who have everything, the Lenovo Smart Tab with Amazon Alexa is a never-before-seen 2-in-1 tablet. A must have for busy-bees, the Lenovo Smart Tab transforms into a fully functioning smart screen when attached to the complimentary Lenovo dock. Take the Smart Tab on long journeys for HD entertainment on a 10-inch screen, then come home and dock to make the ultimate hands-free companion. From watching step-by-step recipes on The Food Network to playing music full through range stereo speakers, Lenovo Smart Tab is there when you need it. 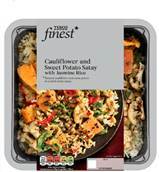 Tesco Finest vegan and vegetarian products. Tesco Finest, the UK’s first premium supermarket brand, has expanded its range as it celebrates its 20th birthday. The all-new products, in the new Finest packaging, include a variety of flavours from around the world. Inspired by the authentic flavours of Thailand, this vegan dish pairs roasted cauliflower and sweet potato with a satay-style sauce infused with coconut, ginger, lime and soy to create a sweet and sticky contrast. The delicate jasmine rice accompanies the meal, finished with a scattering of pumpkin seeds, red chilli and fresh baby spinach. Golden oat clusters baked with apples and juicy cranberries, tumbled with fig for added taste and texture. This granola can be enjoyed with natural, fruity yoghurt or milk at breakfast time. Taste your way around the Mediterranean and beyond with this specially selected olive tasting collection. Each type of olive has been chosen for its unique taste and texture. The platter has varieties of olives from around the world including; French Picholine, Spanish Arbequina, Italian Leccino, Greek Halkidiki, Turkish Edremit and Peruvian Alfonso. Share with friends paired with a glass of Tesco Finest Picpoul de Pinet. CBD infused chocolates, sweet treats, muscle rubs and skin care products! Paradise ( http://tasteparadise.com/products/) is one of the oldest makers of CBD-infused candies, caramels and lollipops. Paradise has a renowned reputation as a leader and innovator in the CBD edibles industry. They are the inventors of THC candies and gummies. 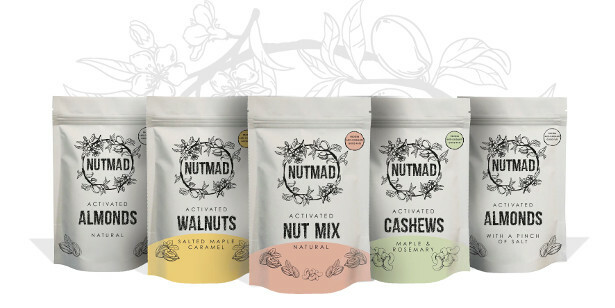 The company manufactu res millions of edibles annually and set a gold standard of professional packaging and consistent potency when it started a decade ago. 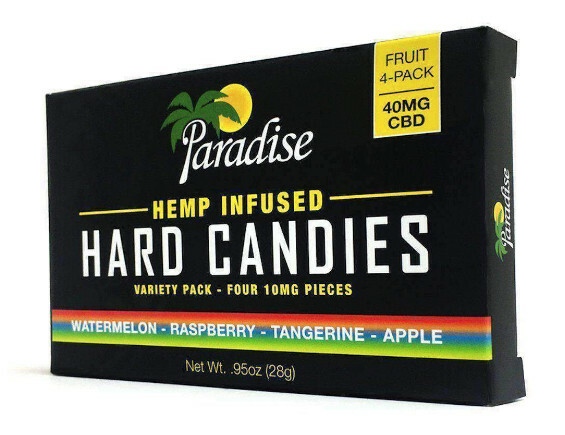 Paradise’s delicious hard candies deliver a quick dose of 10mg of CBD-rich hemp oil. Available in 40mg 4-packs (10mg per piece). Paradise caramels melt in your mouth, delivering a quick dose of 10mg of CBD rich hemp oil. Avail able in 40mg 4-packs (10mg per piece). Sacred Biology (sacredbiology.com) produces a line of Hemp-Cannabidiol (CBD) infused skin and topical products made with organic, responsibly-sourced, cruelty-free ingredients, free of parabens, phthalates, artificial dyes and fragrances. This 150 mg CBD-infused Muscle Rub is packed with pain fighting, organic ingredients. Menthol and Arnica combine to increase circulation and ease tension and swelling. Turmeric oil acts as a topical anti-inflammatory that works synergistically with our proprietary blend of essential oils including menthol, arnica and turmeric to ease even the most acute muscle and joint pain. The Sacred Biology Healing Balm contains CBD and a bounty of powerhouse ingredients that work harmoniously together to renew your skin. Organic hemp and coconut oil work with enriching shea butter to nourish, moisturize, and protect sensitive and dry skin. Rosehip see d oil provides a burst of antioxidants that speeds healing time and reduces the appearance of uneven skin tones and scars. Organic calendula oil gently calms and soothes swelling and irritation. Phantai, have a range of Mandala yoga mat’s (RRP £80, www.phantai.co.uk), which would make the PERFECT valentines day gift from him. These mats are the perfect combination of eco friendly materials, unique designs and spacious size to provide the best foundation to the practice. Helps you stay focused: Beautiful unique mandala decorating the mat helps you focus on the yoga practice, inspires you to go within and fully immerse in the process, staying mindful and practicing with intension. Flowers, chocolates and jewellery are the nation’s favourite Valentine’s Day gifts – but a teddy bear is voted the worst possible present! Try the Compatibility Calculator @ www.vouchercodes.co.uk/content/valentines-calculator! WEDNESDAY 6TH FEBRUARY 2019 – LONDON, UK – The pressure to find a date for Valentine’s Day causes millennials to go to extraordinary lengths to avoid being alone on the most romantic day of the year, according to new research released today. VoucherCodes.co.uk, the leading savings site, surveyed over 2,000 people across the country and discovered that half of millennials (45%) feel under pressure to have a date for Valentine’s Day, causing them to turn to friends to celebrate PALentine’s. Indeed, while three out of five (59%) spend Valentine’s Day with their partner, a fifth (21%) choose to instead be with their friends instead. A quarter of millennials (24%) believe Valentine’s Day is the loneliest time of the year to be single. This is double the number who feel alone when they have no-one to kiss on New Year’s Eve (13%) and as a singleton on their birthday (12%), causing half (54%) to confess they will spend February chasing a last-minute date. The research has found that millennials have been guilty of adopting a varying range of tactics in the past to make sure they have a date for February 14th, with varying degrees of success. The usual avenues are the most popular, with a quarter (27%) having gone on the hunt at a pub or bar and one in five (22%) pursuing someone on dating apps. More surprisingly, a fifth (20%) have even slid into a stranger’s DMs and 1 in 10 (9%) put out a request for a date on at least one of their social profile pages. It seems that millennials are also happy to overlook decisions and repeat past mistakes in the search for a Valentine, with a fifth (18%) returning to an ex and 1 in 6 (16%) calling on someone they had previously turned down advances from. With the pressure not to spend Valentine’s alone mounting, millennials are increasingly likely to reject the traditional norm and rebuff social expectations. A quarter of millennials (23%) have been on a friend date and a third (34%) have exchanged Valentine’s gifts with a pal. The average millennial is prepared to spend £39.90 to celebrate Valentine’s Day with a friend – 30% more than they would be willing to spend on a partner if they had been together less than a year (£30.70). There is also a case of solidarity between friends in either celebrating their independence or sharing a common goal – one in eight (12%) have thrown a PALentine’s Day party to actively rejoice being a singleton and two out of five (40%) head for speed-dating with a friend. A fifth (19%) admit they have hooked up with a friend on Valentine’s Day and a half (51%) confess it is something they would consider. The UK is set to spend over £990m* celebrating Valentine’s Day this year and it can be a pressure-filled situation, as your ability to deliver a romantic experience and a special gift is often seen as a measure of how much you’re invested in the relationship. Indeed, a third (34%) admit that sentimental value is the factor they’re most looking for from their partner on Valentine’s Day, with a quarter insisting it has to be romantic (25%), a surprise (24%) or personal (23%). Very demanding, eh?! When it comes to plans, the research has discovered that the tried-and-tested path is the way to go. A romantic meal (41%) was voted as the nation’s favourite way to spend Valentine’s Day, followed by a weekend away (36%). While a quarter want a special surprise date (19%), the invitation to move away from the norm is not a suggestion to do something active. The likes of climbing or mini golf (18%) came second only to watching a sports match (33%) as the worst ways to spend Valentine’s Day. The average person is planning to spend £28.60 on a Valentine’s Day gift this year and they’ll be better off playing it safe on traditional gifts as flowers (17%), jewellery (12%) and chocolates (12%) came out on top as our favourites. However, not everything that rom-coms have taught us is true, with teddy bears (14%) voted our worst present. The research has revealed that the most romantic day of the year is in fact not the time for men to try spice up activity in the bedroom, with underwear (11%) and redeemable ‘love tokens’ (7%) among the presents women most hate to receive. Half of the UK (47%) admit they have previously bought a bad gift. A quarter (28%) blame a lack of money and a fifth (21%) confess they left it until the last minute, however the reason can be a little more sinister for millennials in particular. A tenth confess they mixed their partner up with an ex (12%), wanted to be dumped (10%) or had more than one person to buy for (10%). Anita Naik, Lifestyle Editor at VoucherCodes.co.uk, said: “The UK is set to spend over £1.5bn on a variety of intimate plans and personal gifts this year. Far from being risqué and adventurous, the research has shown that we’d be safer sticking to traditional celebrations like a romantic meal with some flowers. www.bluethumb.com.au, Australia’s largest online art gallery (shipping internationally). 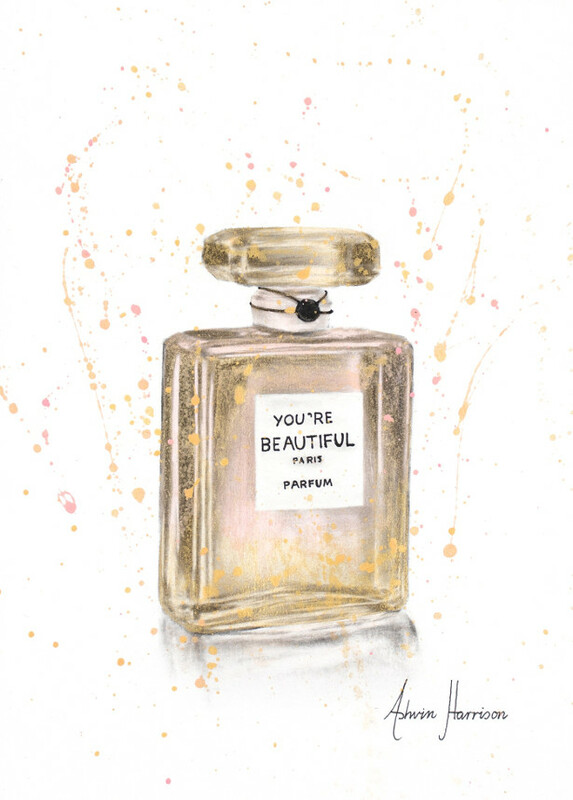 The message on the bottle will be hand finished, so can be 100% what you want to say, and the gold embellishments are also done by hand so each is unique. 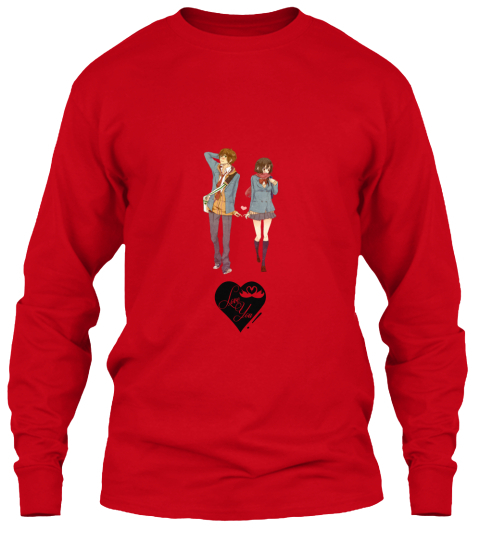 Being Valentine’s day there are only 14 available and it costs on $140 (AUD). And to top it all off profits go to the Big Issue. Have you forgotten about Valentine’s Day and left gift shopping to the last minute? That’s ok because we have a solution for you. 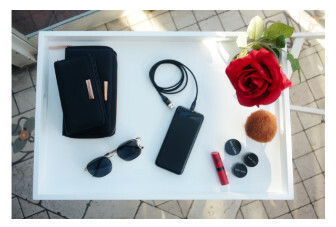 Impress your on-the-go partner who loves to travel from the office to house in style with these four chic products from luxe accessories brand Code Republic. We have everything from laptop bags, wallets and phone cases as the Code Republic range has been designed for the modern business woman who loves to travel from the office to drinks in style! No longer does your partner have to sacrifice her style or be weighed down by a chunky backpack or an extra laptop bag as Code Republic combines style and functionality together to carry technology products effortlessly with a sleek style. The SS19 collection – SAVANNAH, SIERRA, Universal Phone Wallet, and Passport & Phone Wallet – are available online at Code Republic and at selected Harvey Norman and Domayne Computer stores. A collection of stylish laptop bags and accessories that take the modern business woman from desk to dinner in effortless style! Building on the debut range which launched last year, the new collection sees the introduction of two new styles – SAVANNAH and SIERRA. Luxe laptop bags that make a statement, SAVANNAH sports a strong silhouette as the luxe carryall while SIERRA brings style and sophistication to those on-the-go. Crafted from genuine cowhide leather on the outside, the interior features intricately and deliberately designed compartments for all a woman’s needs. The new SS19 collection also keeps valuables safe, the RFID lined pocket shields against credit card skimming whilst the top closing zip helps to keep your valuables concealed. The perfect style accessory for the travelling businesswoman, the Passport & Phone Wallet with RFID to shield against credit card skimming, features a slot for your phone or passport, 12 cards and a coin compartment. Available in three colourways to match the CODE REPUBLIC collection, black, navy and grey with rose gold metal hardware, it has compartments for everything the modern woman needs to cross borders and navigate new frontiers in style! The power piece every stylish woman has been waiting for, Savannah is the statement bag that keeps ahead of the game. A must-have for everyday elegance, Savannah has a unique silhouette, bold and stylish, with all the bells and whistles this premium Navy Saffiano leather laptop bag has bold hardware accents, to give it that extra-stylish flair. This streamlined, effortless carryall fits up to a 14″ laptop with ease, features a RFID lined internal long zip pocket plus our unique organisation will keep your tech and beauty accessories in order. Savannah is ultra-versatile with a cross body strap and a comfort shoulder pad, it can be carried by hand, shoulder or cross body, whilst the signature palm leaf lining will take you away from your work day, to daydreams of a tropical island getaway. Encouraging you to refresh & reset, every time you open your bag. Perfect for everyday use or the ultimate travel accessory, this iconic premium design will add sophistication and elegance to any wardrobe. Bring style and panache to the daily commute with Sierra. This little leather number is a must-have accessory, for easy on-the-go sophistication. Equipped with a detachable cross-body strap, have the option to sport it over the shoulder, or hold it like a clutch. Gorgeous on the outside, Sierra is made from luxe durable scratch-resistant Saffiano leather, with distinctive rose gold embellishments. Inside there’s room for a 10″ device, plus all of the organisational help you need to get you through the busy work day and into the evening. Enhanced by the bags’ feminine allure & complimented by our beautifully bright, signature palm leaf lining, this bag will take you away from your work day to daydreams of a tropical island getaway, encouraging you to refresh & reset every time you open your bag. The CODE REPUBLIC SS19 collection is available now from select Domayne Computers and Harvey Norman stores and online at www.coderepublic.com.au or via CODE REPUBLIC Instagram store (@code_republic). 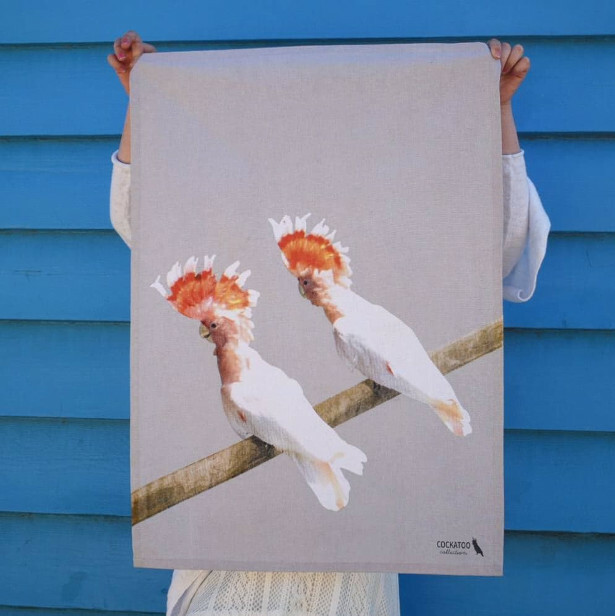 Why not treat your valentine with this tea towel featuring a cute feathered couple? For a real life romantic gift add a bottle of sparkling and some edible goodies – and most importantly, promise to dry the dishes too! What could be better than answering the door this Valentine’s Day, and being handed a luxurious gift that truly says “I love you”? 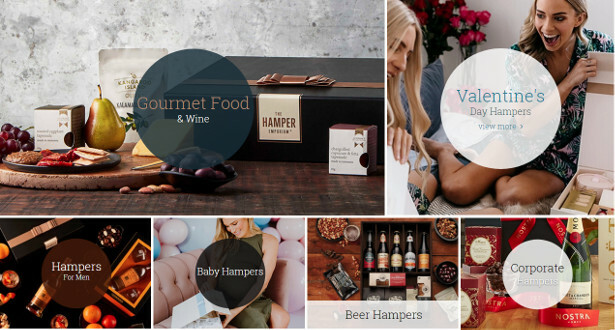 The Hamper Emporium specialises in gifts of love, with every hamper designed to feature an exclusive selection of gifts for men and women, suited to any taste or budget, with free delivery right across Australia. It’s also the perfect solution for those having trouble finding the perfect gift, or running out of time as the big day gets closer. For over a decade, The Hamper Emporium has been designing luxury hampers containing gifts from iconic brands including Moet, L’Occitane, Glenmorangie and Seafolly, alongside gourmet produce sourced exclusively from around Australia. Founder and CEO Emily McWaters has a passion for quality and detail, and has developed an exquisite range of products, ensuring every hamper leaves her Sydney warehouse beautifully presented, and filled with world-class gourmet food and luxury gifts. For Valentine’s Day 2019, The Hamper Emporium has 20 different gift ideas to select from, making it easy to find the perfect way to shower your special someone with love. Here’s a snapshot of some of the best. Want to pamper the apple of your eye? For women, look no further than the L’Occitane Pamper Hamper. Inside this elegant hamper, she’ll find an exquisite collection of skin care, chocolates, and sweet nibbles. If the man in your life deserves a little indulgence, the best-selling L’Occitane & Shiraz hamper brings together the perfect combination of nourishing skincare, a plush robe and a bottle of Old Rowley Shiraz. Personalised hampers are also available. If it’s a glass of the finer variety that takes their fancy, look no further than the Moet Grand Vintage & Chocolates hamper, the Glenmorangie Whiskey Tasting Hamper, or the Luxury Hennessy Hamper, all accompanied by gourmet treats. Emily McWaters is available for interview, with expert advice on how to select the perfect luxury gift this Valentine’s Day for him and her. 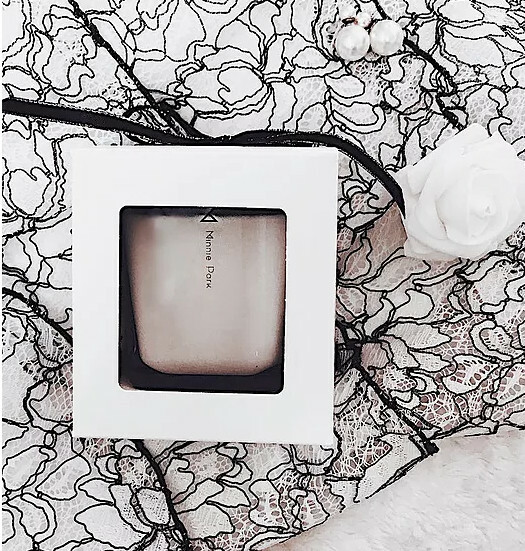 By Minnie Park, a handcrafted vegan candle line combines high-quality essential oils and natural ethically sourced gemstones, founded by renowned beauty influencer, fashion model, and now candlemaker Minnie Park. 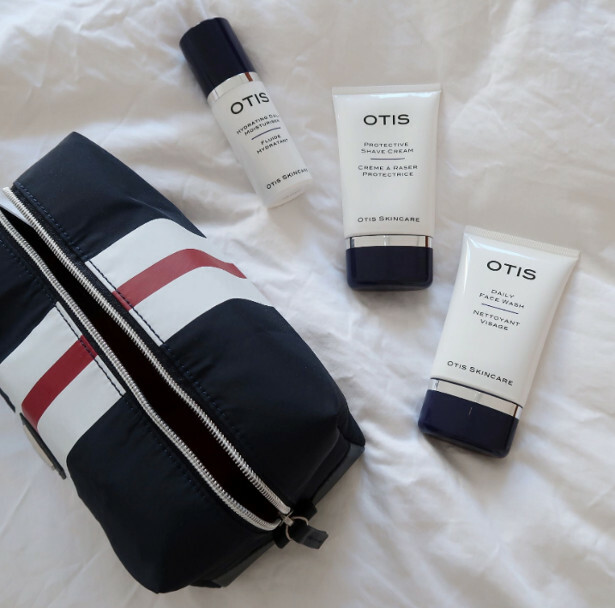 A new men’s skincare brand – OTIS SKINCARE – based in Paris. A clean, effective, anti-aging products have been specifically developed for a man’s skin. They offer a Daily Face Wash, a Protective Shave Cream and a Hydrating Daily Moisturizer. All three products are designed to be travel ready. 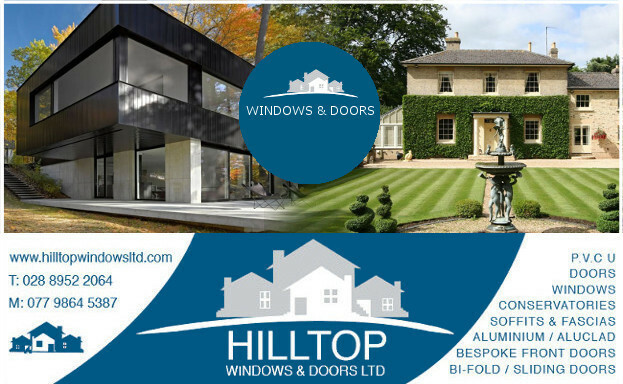 They have had excellent customer feedback on all three products. Men love them! And they can see the results of using excellent skincare.